A Table Mountain National Park holiday could include a variety of outdoor adventures or simple picnics in the forest and sunset walks on pristine beaches. 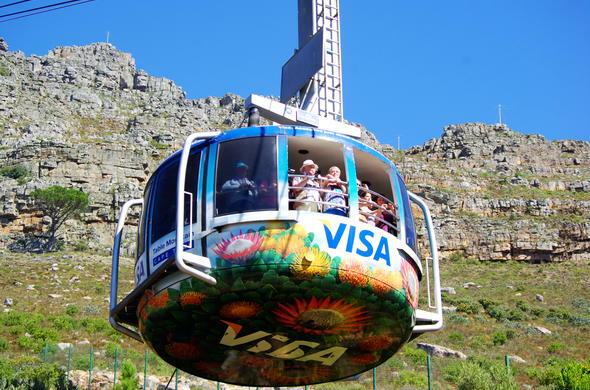 The Table Mountain cableway and mountain top offers spectacular views. Table Mountain National Park activities are endless and based around access to the mountains, beaches, forests and oceans. From scenic drives to scuba diving, horse riding to rock climbing and hiking. The most popular mountain biking trails are in the Tokai Forest and at Silvermine with other city trails becoming available from Kloofnek to Mowbray. One of the most popular Table Mountain National Park activities is setting off with a picnic basket on any one of a great variety of scenic drives namely Boyes Drive, Simonstown to Smitswinkel Bay, Ou Kaapse Weg, Chapman's Peak Drive, the Atlantic Seaboard’s Victoria Road, Kommetjie to Scarborough and onward to Cape Point as well as Rhodes Drive to Constantia Nek and down to Hout Bay. Picnic spots located near the city include Signal Hill lookout and Glen and Deer Park. Sites on the eastern slopes of Table Mountain include popular Newlands Forest, the Kirstenbosch Botanical Gardens and Constantia Nek. Sites further south include the Tokai Forest and Silvermine, which is on the Ou Kaapse Weg pass en-route to Noordhoek. Atlantic Seaboard picnic spots include Oudekraal between Camps Bay and Llandudno, Perdekloof - which is close to the Cape of Good Hope, and a further 2 sites at Buffels Bay and Bordjiesdrif (beware of Chacma Baboons here – feeding them is prohibited!). Whale watching is a popular activity from various view sites between August and October every year. Boulder’s Beach near Simonstown, is the place to observe the protected Jackass Penguin colony that lives there, enjoy the stunning beach and maybe swim with a penguin or two (but don’t touch). For wonderful indigenous plants and trees, tranquil gardens, cream teas and contemporary dining, also sunset concerts, Kirstenbosch Botanical Gardens is a must. You can participate in the various exciting activities at the Table Mountain National Park. There are several tourist sites and their accessibility levels for the mobility impaired vary. The Jackass Penguin (African Penguin) attracts a lot of attention at Boulders Beach and the wheelchair-friendly boardwalk allows a close view of these wonderful birds.